This is a post that I have been wanting to write about for a while, but just couldn’t get myself to do it. I feel that today of all days is the perfect time to let this out. 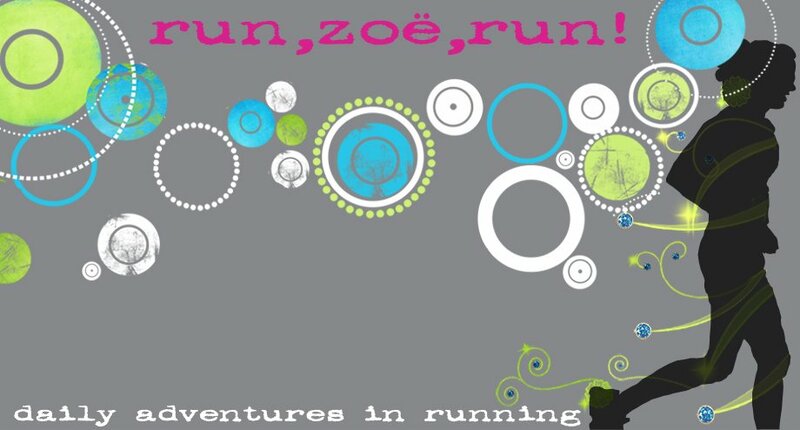 This is how “Run, Zoë, Run” ended a decade ago…then began again this year. Ten years ago today, I was 15 and just started my Junior year of high school--not only was I busy with school and x-country, but I was also newly elected as class president. It was going to be a great year. It was a Friday, my mum and little sister sat on a picnic blanket at Lower Woodland as I ran in a 3A division cross country meet. My mum yelled loudly as I passed “Run, Zoë! Run!” and “Long strides, Zoë, long strides!” and I could hear her every time I ran near. She was a constant spectator at all of my sporting even ts, whether it was x-country or swimming, she was always there to cheer me on. I ended up doing better than I expected at this particular race, as it was my birthday weekend and I was turning 16 that Sunday. My friends “kidnapped” me by blindfolding me after the race and whisking me away for dinner at Red Robin and the football game afterwards. My mum was in on the plan the entire time and packed my letterman’s jacket and a sweater in her trunk for my friends to bring. I had no idea and the 16th birthday surprise was amazing. My actual birthday was the fun part. My brother had come up from Oregon to celebrate and all four of my sisters were at our house too. All six of us kids, mum and dad, and of course our Burmese kitten Oliver were on hand for the party. It was rare to get us all together, but it was the best feeling when it happened. Mum made an applesauce birthday cake in her stone baking pan, and my big sister laughed as she juggled five half-gallon cartons of ice cream trying to open the freezer door with her foot. My family liked to be goofy and put on little dance parties, so of course we had to crank up the tunes and act like fools. It was the most perfect Sweet Sixteen. Visitors came and went, as we had set up “camp” in the ICU waiting room. I snuck over to a different part of the hospital wing with my sisters, where there was a huge fish tank that had a cute puffer fish. Even through all the gloom of the hospital that puffer fish just smiled back at me, waving his little fins. To this day, I still love puffer fish and they make me smile every time. 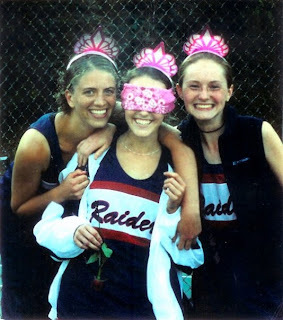 Despite us all talking to her in that hospital room, telling her about the plans for the fun hats she would get to wear when she went home (the doctors had shaved a small portion of her head to insert a tube in her skull to release fluid), she went home to Heaven on September 22nd, 1999. 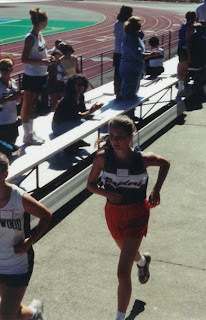 A week after her passing, there was a x-country meet at Lower Woodland again. I wanted to keep going on with everything as normal, especially running, because I knew that’s what mum would want. I ran the first mile of the race before collapsing in a blubbering heap in the middle of the trail. Fortunately for me, I had the best teammates & friends that a girl could ask for and they let me lean on them back to the starting line. It just wasn’t the same without the familiar “Run, Zoë! Run!” called in my direction. So this is my story, and why my blog is named what it is. The pain is still there, even after all these years, but now—ten years later & more than ever—I can hear her cheering for me on the sidelines. My Mum. My AngelFish. My biggest fan. My birthday wish on Facebook Causes benefits The Brain Aneurysm Foundation. Thank you for sharing that very personal and tragic story. 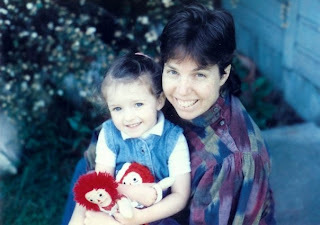 I am so sorry for your loss and as I sit here with tears in my eyes wanting to give you a hug, I admire you for finding the courage to push on... what a beautiful tribute to your mother and I am confident she is so proud of the woman you've become and that you've found the road again. I started crying as soon as I started reading. I have known this story for years but it has all come to a head this year. We love you Zoë and we are all here to cheer you on now. Thank you for putting yourself out there and writing this. You'll do great on Sat. Your mom will be there flying right beside you. oh zoe. what a beautiful story! i'm so sorry to learn of your loss and i can't imagine everything you've been through since then. i'm glad you were able to continue running and honoring your mother, instead of letting it affect you in a sad or negative way since she was no longer there to cheer for you. i know she is still watching and cheering for you from above! That was beautiful and heart-wrenching Zoe. Thanks for sharing. It's amazing how we can turn loss and grieving into something positive. A true testament to the human spirit. That's a hard one, Zoe, really hard. I, too, cried when I read this. I can't imagine my life without my Mom. I'm glad you're back running again; I know you can hear her voice calling to you. I can't hold back the tears. You've been through so much, more than you should have gone through at such a young age. Thanks for that beautifully-written tribute. I'm sure your mom is really proud of you. Thanks for sharing your story. It was beautifully written. You are truly an inspiration. My father died of cancer my sophomore year in college. He was never able to see me race since he fell ill as soon as i left home. But I fondly remember coming home often and talking to him about my running and him teasing me about how skinny I was. I miss him some fierce now and then. But I'm always reminded of the support he gave me and it only reinforces the positive attitude I have had throughout life. It's wonderful to know that even though you've experienced this tragedy, you've come back to doing what you love. Your kids one day will appreciate it when you're the one out there cheering them on!!! The love you have for your mother is so touching. 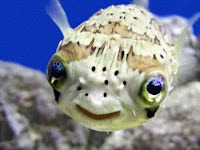 I was very moved by your story and I think that is so neat that the memory of the puffer fish still makes you smile. Thanks for sharing your story. I am still tearing here. I am sure your mom is still cheering for you and watchting over you. Zoe, I just found the post on your blog...I sit here with tears in my eyes and commend you so much for your will power and strength to push forward with your life and to become a woman that your mum would be proud of! Kuddos to you! May your mother always look down on you..and when the wind blows during your runs, I'm sure to this day you hear that familiar voice whispering in your ears...run, zoe, run! Oh my goodness, Zoe. I've read your blog a couple of times before, but not in it's entirety and just stumbled across this link. You are a strong and beautiful girl! I'm so happy to hear that you're a runner again, even if many years passed in between. I can only imagine how proud she is of you now! I cannot fathom how it must have felt to lose a parent so young...but I can Empathize with the PAIN..there is a hole that may never be full again. Yes I am RANDOM blog stalker today..